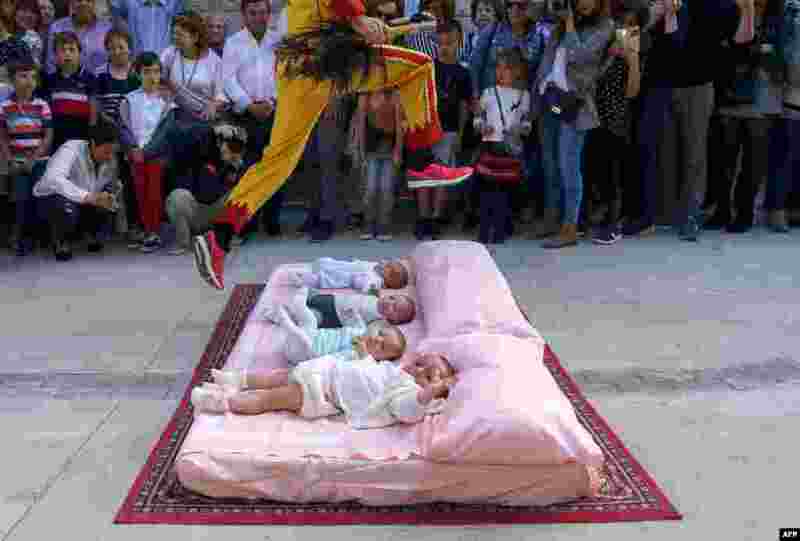 ١ The 'Colacho' (man representing the devil) jumps over babies during 'El salto del Colacho', the baby jumping festival in the village of Castrillo de Murcia, near Burgos, Spain, June 3, 2018. 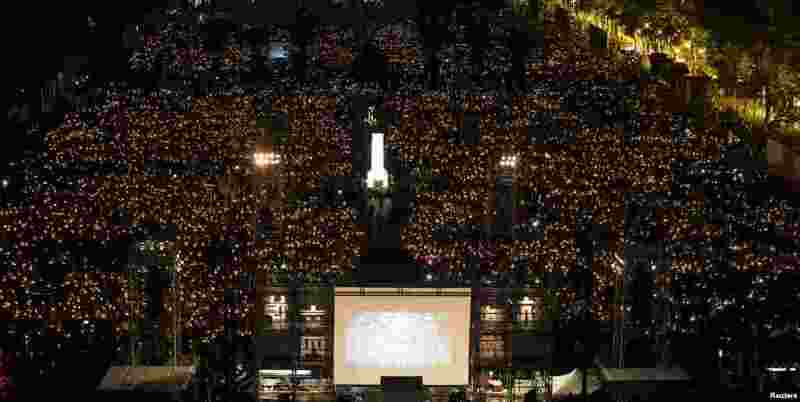 ٢ Thousands of people take part in a candlelight vigil to mark the 29th anniversary of the crackdown of pro-democracy movement at Beijing's Tiananmen Square in 1989, at Victoria Park in Hong Kong, China. ٣ A man collects recyclable items in the polluted water of the river Yamuna in New Delhi, India. 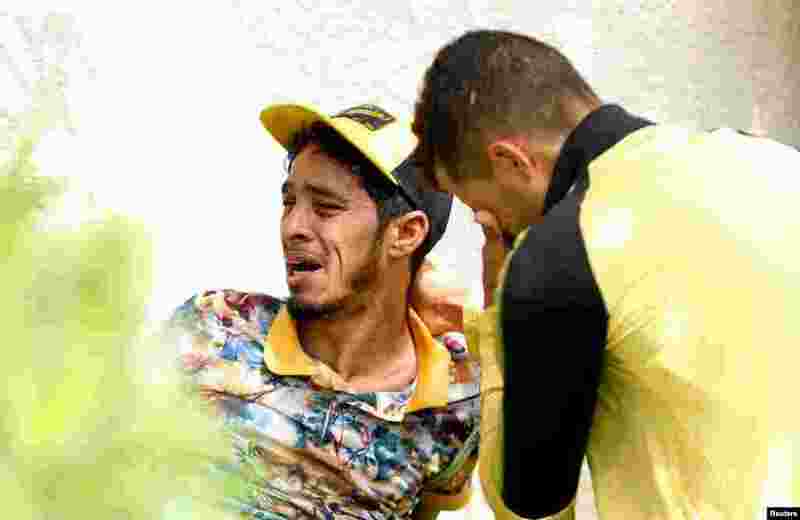 ٤ Relatives of Tunisian migrants, who drowned when their boat sank, react as they leave a hospital morgue after identifying the bodies of their family members, in Sfax, Tunisia.